Crystal Cruises will offer Hawaii and South Pacific cruises in 2018 and 2019! 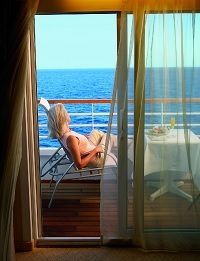 Enjoy cruising the tropics with Crystal Serenity or Crystal Symphony. Welcoming graciousness and a friendly smile. An unwavering standard of excellence by professionals who share your passion for world discovery. 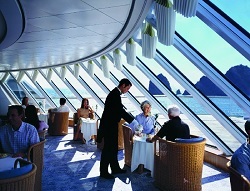 The essence of Crystal Cruises lies in its people. Crystal's All-Inclusive Value: A spectacular combination of luxury and value makes Crystal the perfect choice with 2-for-1 fares, free air and so much more! Imagine your dream vacation. One that creates memories to last a lifetime with experiences that will linger in your heart forever. Crystal Cruises is the perfect choice. A Crystal vacation reveals the world to you with exceptional style and clarity, wrapped in immeasurable value. Because today more than ever we want our travel experiences to surprise and delight, to open new avenues of worldly discovery and personal enrichment, to bring us closer to the ones we love and the things we do. We understand that travel is an essential part of your life and have enhanced the Crystal Experience to be more all inclusive than ever before, making it even easier for you to realize your dreams without forgoing luxury. 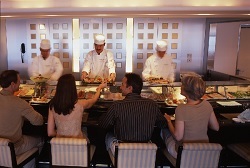 Receive 50% savings per person in every category on your next Crystal cruise! 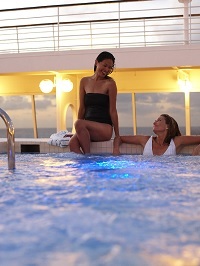 Return guests enjoy exclusive savings on all Tahiti cruises. Crystal Society members also save with our generous referral program. Make your friends and family part of our Crystal Family. Sail with six family and friends on any voyage and enjoy exclusive shipboard credits, kids sail free and more! Plus, add a free berth when you sail with 10 or more. Save an additional 2.5% off all cruise fares when you pay for your cruise in full, six months in advance.